Marvel has released their comic solicitations for August 2018. Here is the Star Wars rundown. “FORTRESS VADER” BEGINS! A JEDI makes a desperate deal. THE INQUISITORS’ mission evolves. DARTH VADER discovers a theft. “AWAKENINGS,” PART FIVE. 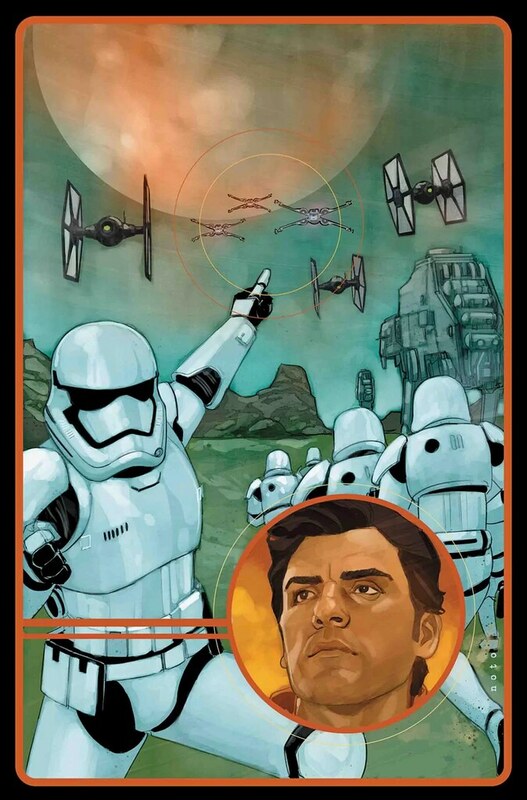 BLACK SQUADRON had its own mission during the events of THE LAST JEDI, a desperate trek across the galaxy to find aid for THE RESISTANCE, all without the help of their fearless leader, POE DAMERON. This is the beginning of the end. 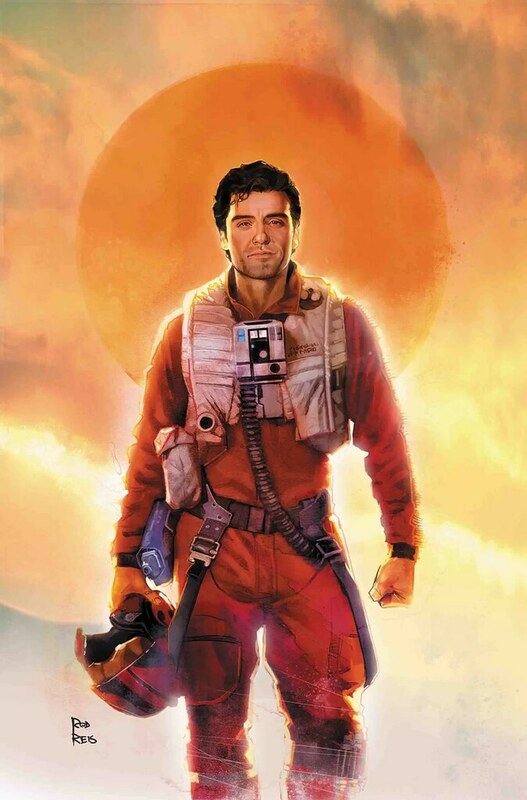 CAN POE DAMERON OUTMANEUVER ONE OF THE GALAXY’S GREATEST PILOTS? 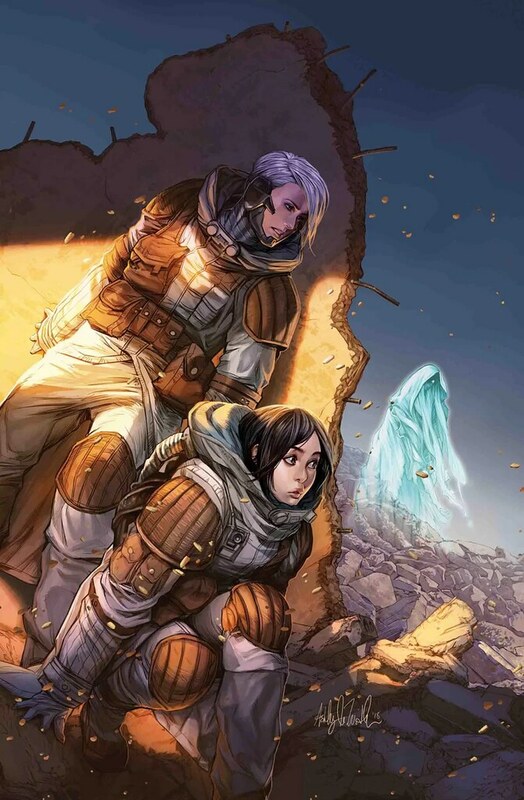 Rebellions may be built on built on hope, but they need more than that to survive. 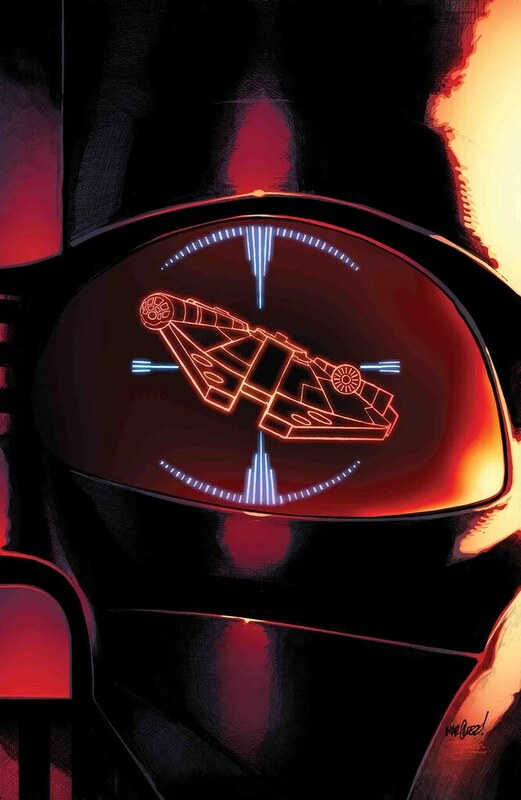 LEIA sends BLACK SQUADRON on a new mission, one that will raise important funds for THE RESISTANCE. Can a group of pilots really do the work of smugglers and scoundrels? THE GOOD, THE BAD AND THE DEADLY! 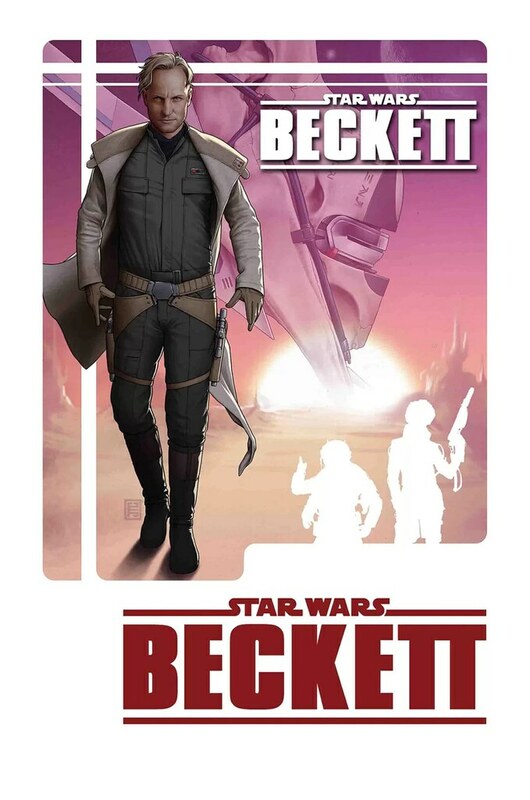 TOBIAS BECKETT taught HAN SOLO everything he knows about surviving hoodlum-filled cantinas and backwater worlds. But who is this career outlaw and why is ENFYS NEST— one of the galaxy’s most dangerous and brutal marauders — so dead set on taking him down once and for all? Find out in this original tale of a man who has gamed star system after star system, but at a cost that no heist can make up for. REY CONFRONTS SNOKE AS THE RESISTANCE FACES EXTINCTION! 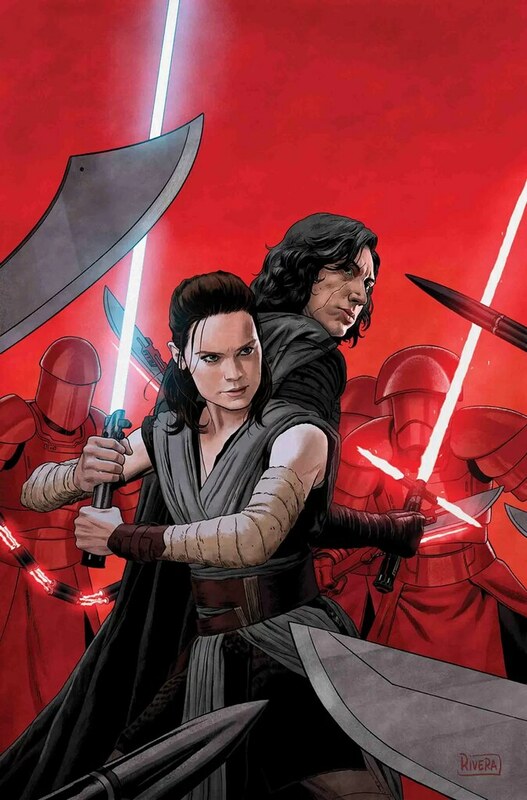 KYLO REN brings REY before the SUPREME LEADER — but who will turn? ADMIRAL HOLDO reveals a stunning plan to save the RESISTANCE! Plus! The return of CAPTAIN PHASMA as FINN and ROSE are betrayed! As the Empire’s grip tightens on the galaxy, the stirrings of a rebellion begin in the Mon Cala system. 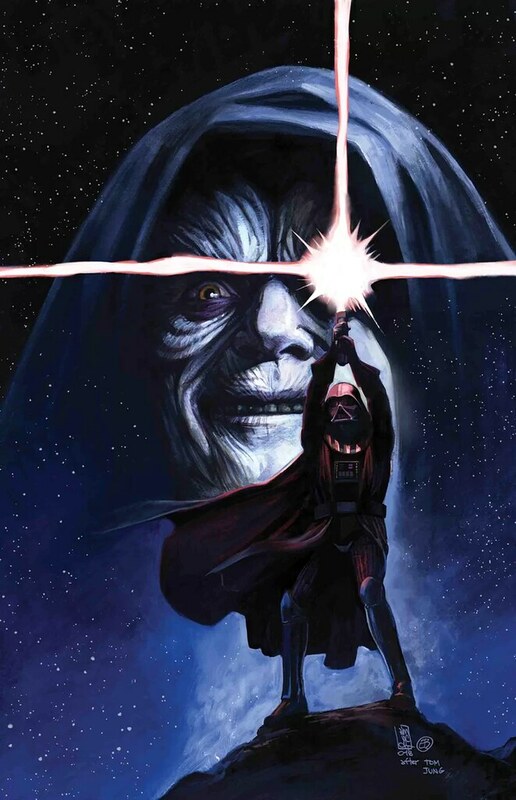 The fearsome Darth Vader knows order must be maintained at all costs — and this time the job of snuffing out hope falls to Vader, his Inquisitors…and Wilhuff Tarkin! Bringing Mon Cala to heel means finding the surviving Jedi that foment this unrest. No tolerance for rebellion can be afforded. But how far will Vader go to complete his mission? 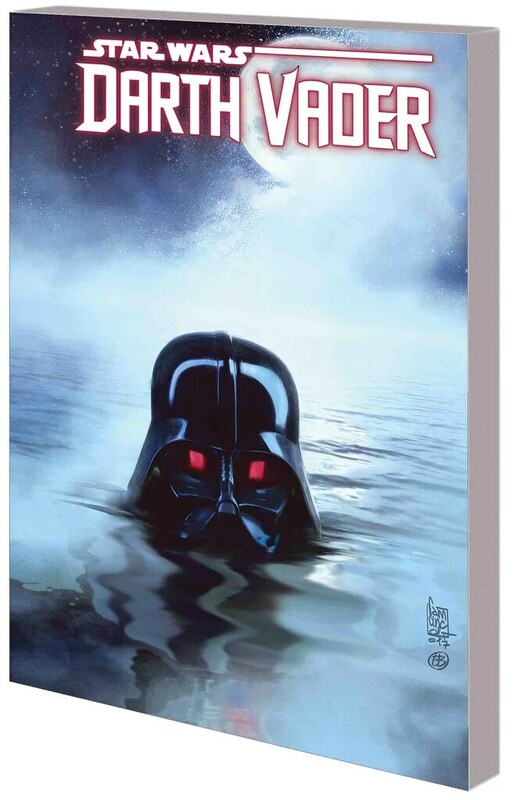 When the Dark Lord of the Sith and his Inquisitors finally track down their targets, a resistance will crumble and the seas will weep. And when the time comes for Tarkin to repay a long-standing debt to Vader, settling what is owed will require every last bit of his cunning — and will cost more than he ever imagined! 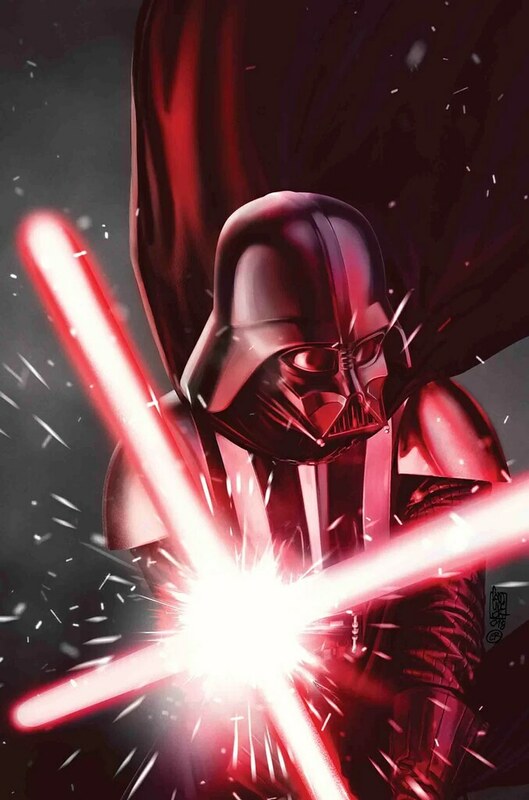 Collecting DARTH VADER (2017) #13-18 and Darth Vader Annual #2. Delve deep into the dark past of Jango Fett! Find out how he became a Mandalorian warrior — and battled his way through war and slavery to become the bounty hunter who caught Count Dooku’s eye! Meanwhile, Ki-Adi-Mundi seeks a wayward Jedi on the backward world of Tatooine, and Jabba the Hutt will help — for a price! But Tusken Raiders and a vicious krayt dragon may mean the end of his mission! And as half of the Jedi Council heads to the planet of Malastare on a mission of peace, a phantom menace looms in the shadows! Plus: Mace Windu braves the Smuggler’s Moon! And what is Jedi Darca Nyl’s deadly secret? 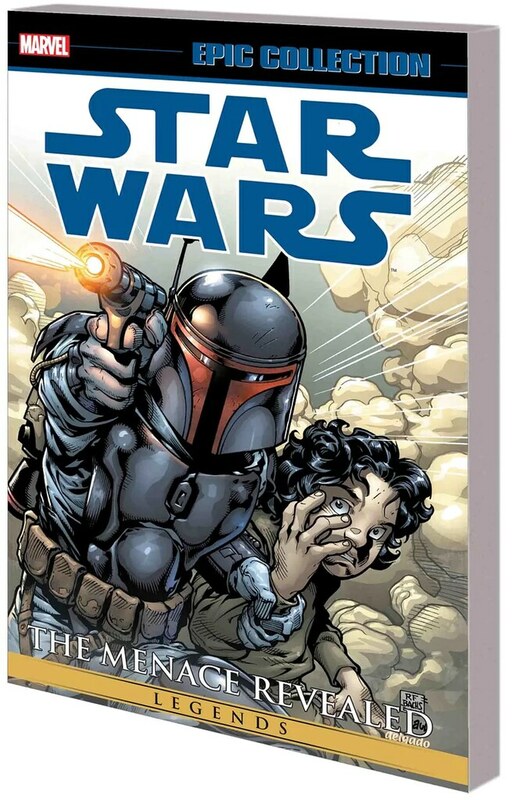 Collecting STAR WARS: JANGO FETT — OPEN SEASONS #1-4, STAR WARS (1998) #7-18 and material from STAR WARS TALES #8 and #21-24. He’s one of the most cunning and ruthless warriors in the history of Star Wars! Now, discover how Grand Admiral Thrawn became one of the most feared military tacticians in a galaxy far, far away. 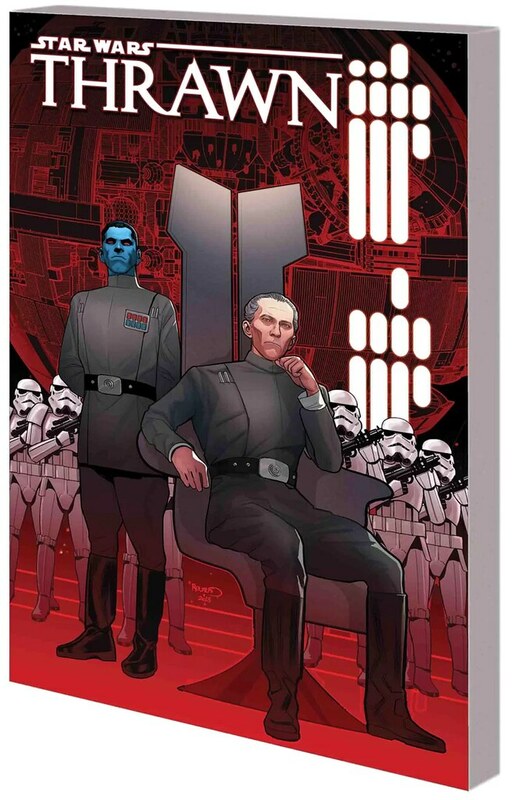 Jody Houser and Luke Ross adapt Timothy Zahn’s New York Times best-selling novel about Thrawn’s rise through the Imperial ranks! Meet young Lieutenant Thrawn, who graduated the Imperial Academy with the highest marks possible. 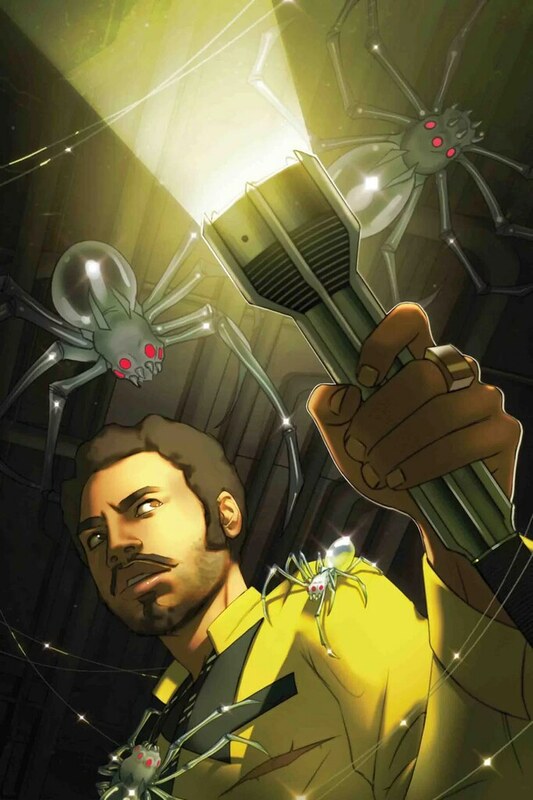 He’s been assigned his own personal assistant, Ensign Eli Vanto, and is ascending quickly — but that doesn’t mean everyone in the Imperial Navy wants him to succeed. And Thrawn isn’t the Empire’s only rising star — so is Arihnda Pryce. The two rivals’ paths will cross, and tensions will run high, when they discover a dark secret within the Empire. Collecting STAR WARS: THRAWN #1-6.